Perfect TURN-KEY home backing to Arapaho National Forest with a footpath to Maxwell Falls plus mountain VIEWS! You can literally just bring your belongings and move right in. The homeowners have created a Pottery Barn-esque haven and big ticket items have just been completed. Brand new roof, exterior paint, water heater, flooring, interior paint, interior doors/trim, front door, entry deck, and bathrooms. Enjoy mountain views and a fenced-in yard! Large 2 car detached garage and shed maximize storage. 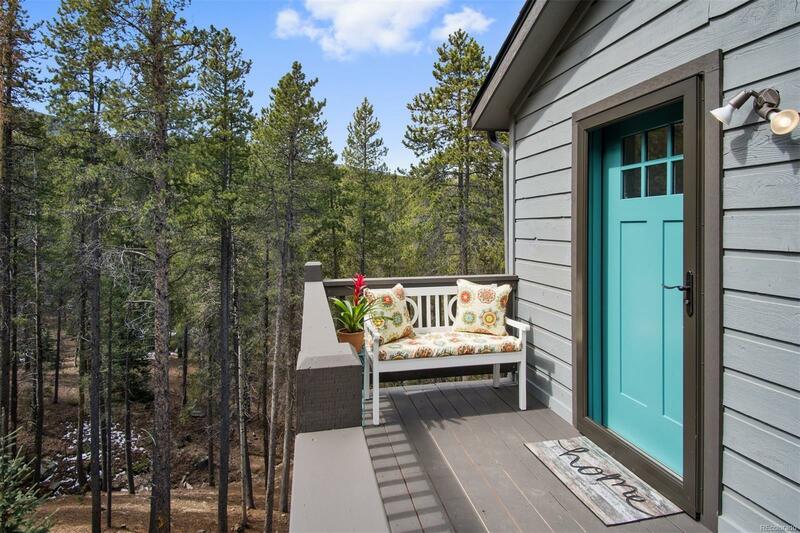 Great price for amazing updates in Conifer!